Little Boy Lake: Little Boy Lake is located 3 1/2 miles south of Longville on Hwy 54. This 2 1/2 mile long lake is one of the most popular lakes in the Longville area. The lake has record Muskie. It also provides anglers with Walleye, Northern Pike, Large Mouth Bass and Small Mouth Bass. 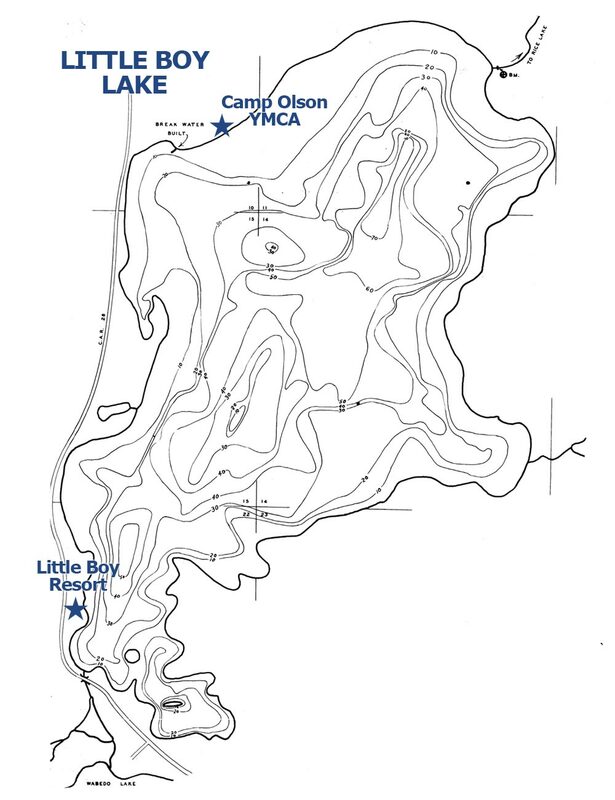 A channel links Little Boy with Wabedo Lake.